While losing power may not happen every day, there’s never really a good time to be without it. Whether you’re preparing food for your family, it’s winter and you need heat, or if your domestic water is run on an electric pump, power is necessary to our daily lives. Homeowners should have an emergency kit for such occasions, complete with a flashlight, blankets, matches, candles, battery operated radio (batteries separate) and ideally a residential generator as your back-up power source. The purchase of an AmbionAir Gen Portable Silent Diesel Generator product is definitely an investment in your peace of mind and your safety. If you’ve already invested in your comfort (who doesn’t want to have a hot shower or flush the toilet??) there are a few things to keep in mind when choosing where the best outdoor location for your generator: proximity of the control panel, easy access to refuel, noise level consideration, gas exhaust, proper base, hot air exhaust, and placement in an area where pets and children don’t have access to the equipment. To make sure all these items are taken into account we recommended a registered professional electrician or dealer assist you with the installation of our AmbionAir GEN - Portable silent Diesel Generator (TDG7500SE). Here are some basic facts you should know about portable silent diesel generator installation and maintenance. First, make sure you place the generator at least 15 feet away from the house and any windows or doors to prevent carbon monoxide build-up. If available, place it underneath a canopy-like structure to keep it clean and free of debris or snow. When not in use you can also protect your generator with cover especially made for generators. Never run it in the basement or garage or other enclosed space. This could cause carbon monoxide poisoning. Make sure there’s adequate ventilation wherever your generator is operating. 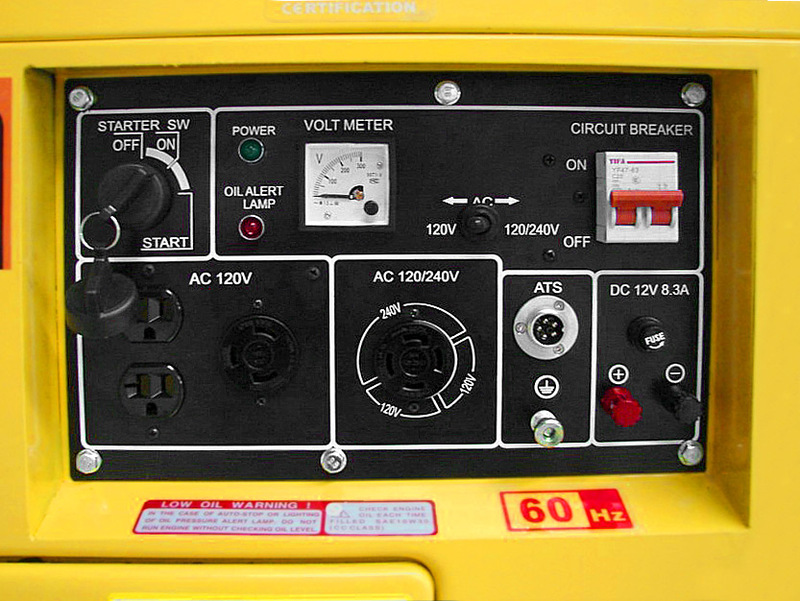 Adding a ATS transfer switch to your Diesel generator is a great idea. It allows you to have automatic power whenever the grid goes out so the next time you find yourself in the dark, you’ll be able stay inside while your Diesel generator automatically powers up. If you choose to install a transfer switch, it must be connected to the unit and to your home’s control panel, and the generator must be placed in proximity to your fuse box for easy installation. However, never connect a generator directly to your home and as this requires electrical wiring you should consult a professional. The diesel fuel that powers your Diesel generator should also be stored properly and safely. Small amounts can be stored in the same types of plastic cans in which you store gasoline and clearly marked "Diesel". Large amounts can be stored in tanks, which vary in size from 100 to 10,000 gallons. It's also important that you keep the tanks and storage cans in an area where children or animals can't tamper with them and away from any electrical devices. Keep in mind that fuel stations often shut down during blackouts. If this sounds familiar to you, it may be a good idea to invest in a diesel fuel storage tank. Store your tanks or fuel cans in an area that is safe and where no moisture can affect the tanks or cans. Install tanks safely outdoors and make sure any fuel cans you have are locked in a storage unit. You should also add a date to your fuel storage containers to avoid keeping it for more than 12 months as fuel degrades. There are filtration and biocide products you can buy to help prevent this. Simple maintenance is required on your product and will help make sure the generator runs properly and has a long life. All Diesel generators require periodic oil and Air filter changes to ensure maximum performance for years of reliable service (check them both every 6 months). You should refer to the owner’s manual for routine maintenance procedures and schedules. We love to hear from our readers, so if you have any safety tips you’d like to share please do so. Have any questions about this? Just ask us! Our professionals are eager to assist you with any questions and to help make sure your purchase of an AmbionAir Gen generator is worry-free. B.D. 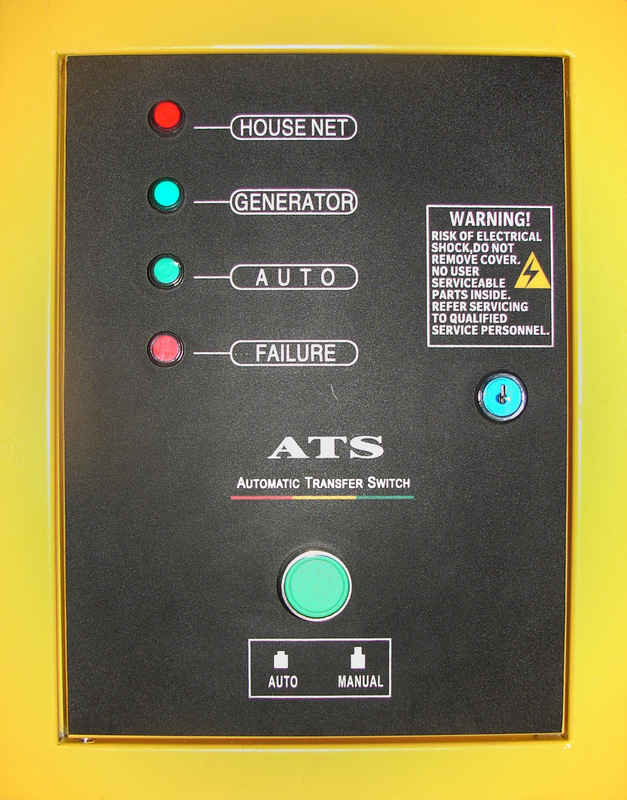 - When the ATS is installed by an authorized electrician you're right, it will start and stop automatically .Therefore, your generator cover cannot be a standard plastic cover. You need to build, or buy, a well ventilated wooden structure around your unit. This will keep the generator covered year round and allow the ATS to perform its duties without any complications. If you don't install an ATS switch then a standard cover can be used to protect the unit. Thanks for your question! Can you keep the generator covered when it isn't being used? What happens when it automatically goes off with the ATS switch? We have a back-up generator. Only used it twice in 2 years since we bought it, but I figure my investment is amortized over atleast 10 years with good maintenance (we have it serviced annually). About $100 a year for the safety of our family - not a bad deal. alison - yes! water is a must! It's also a good idea to keep water stocked in your emergency kit. Good suggestions.